We'll be talking about weaving a lot in this series. But what is weaving exactly? How is it done? What materials does it use? What products does it result in? There are overall two types of fabric, which you could also call cloth: knitted, and woven. Knitted fabrics are made by creating lots of tiny loops, locked into each other. Your T-shirts are most likely knitted, so are many hats and scarves and sweaters. Generally, if it's very elastic, it's knitted. Woven fabrics are what we'll talk about here. 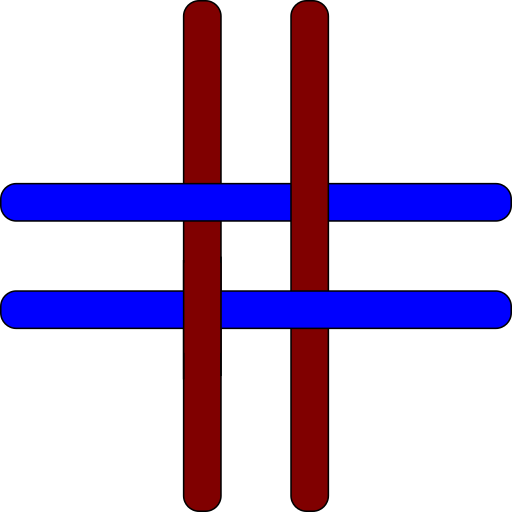 The basic principle is to interlock perpendicular threads: over-under, over-under, and so on. Repeat this with many parallel threads going both ways, and you get cloth! 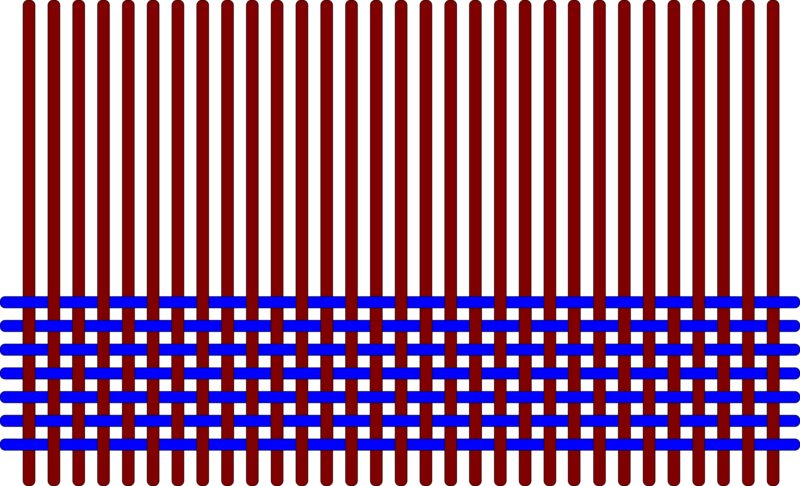 In practice, one of the thread groups is prepared in advance, and the other is interlocked row by row. 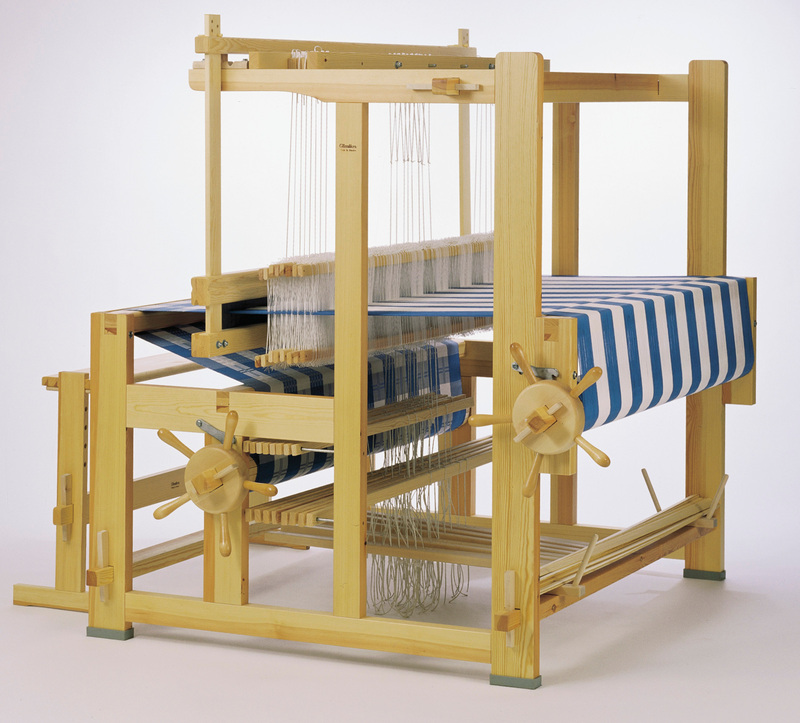 The prepared thread go along the length of the fabric, and are called the warp. Every thread in a warp is called a warp end, and the number of threads per inch is measured in "epi", (warp) ends per inch. How big the epi is depends on the type of yarn used, and will affect the finished cloth greatly. The other thread goes along the fabric's width, and is called the weft. Historically this was done by having the thread on a shuttle, and passing it back and forth from left to right and right to left. Newer techniques have been devised to make mechanized weaving faster, but this isn't the topic today. 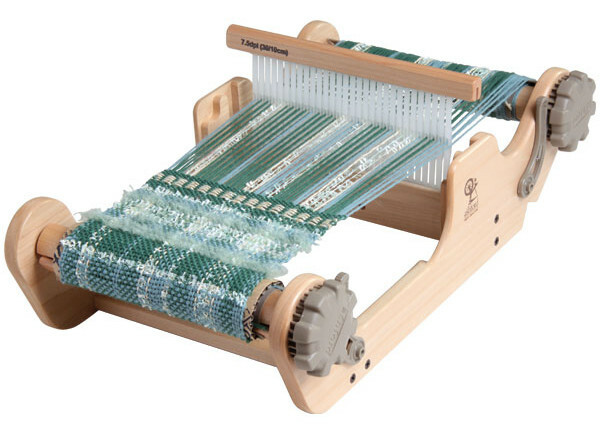 The simplest loom is what I'm using in my tapestry classes: basically a wooden frame with nails on it. 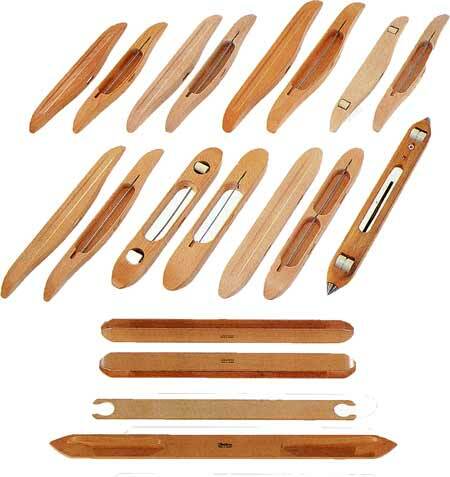 The warp is wound around the nails, and the weft passed manually over-under-over-under and so on. This is how traditional tapestry is made to this day, though often using more sophisticated, larger looms with devices to lift every second thread. Separating the two thread groups, even and odd-numbered, is called opening the shed. Weaving happens by opening the shed, passing the weft through, switching the shed to the other thread group, passing the weft, etc. In tapestry, this is mostly done manually, and a frame loom such as this means you pick out the threads by hand everytime. The base material for weaving, like knitting, is yarn, but it'll often have different characteristics. For the warp, you'll generally want strong, non-elastic yarn as it'll be under quite a bit of tension. 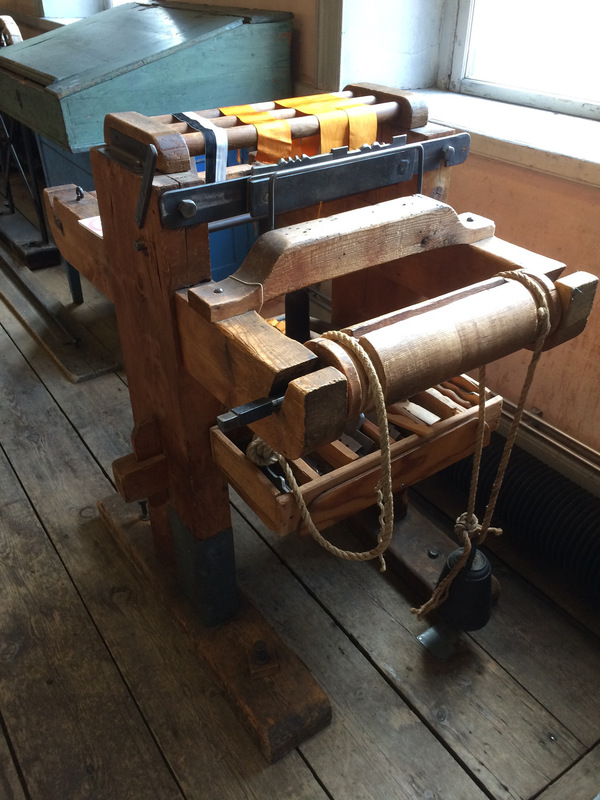 Materials can be anything: linen, wool, cotton and such as very common, but experimental weavers and fiber artists can use anything, from coper wire to paper! See for instance this wonderful fiber optic and silk curtain. 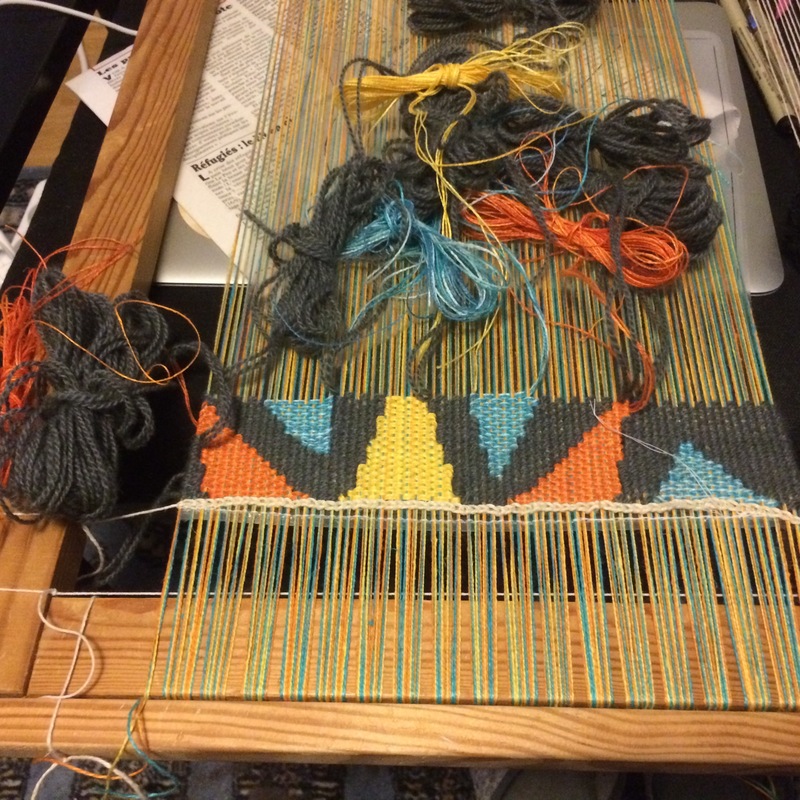 A woven cloth is not ready to use off the loom. It will need washing, pressing, and sometime further chemical processing, to get its final appearance and properties. The way a fabric feels to the touch is called the hand of the cloth. The way it behaves over a form is the drape. Different fabrics will bend and stretch differently, and as a weaver you get to decide exactly what you want to make. It will depend on the weave itself, on the yarn, how it was dyed, how it was spun, on the fiber, how it was grown, how it was prepared. At the peak of the Fabrique in Lyon, from the silk worms to the finished cloth, there were 60 to 90 different jobs involved in the manufacturing process! Textile manufacturing is mostly invisible today, but it's a very complex and fascinating industry. Okay, that's all very nice and interesting. But we stopped at rather simple geometric patterns. So you'll ask, how are those very complex flowers and birds I've seen on brocards made? How are those questionable painterly cushions I've sit on a few times woven? When do the punchcards come in, because I'm a programmer and I KNOW punchcards are somewhere? That brings us back to Lyon, and we'll talk about it in the next part!